Get your home ready to sell or rent and identify ways to save money on your energy bills with an EPC from Cornwall’s independent energy experts. As a householder, having an energy performance survey of your home could help you identify ways to save money on your energy bills. All buildings which are built, let or sold now require an Energy Performance Certificate (EPC). From 1st April 2012, householders wishing to get payments under the government’s Feed-in Tariff (FIT) for solar PV need to provide evidence that their home has an EPC rating of band D or above to receive FITs at the standard rate. The certificate will indicate the energy efficiency of a home on a scale of A to G, giving potential tenants and purchasers important information with which to make an informed decision about buying or renting a property. Once produced, EPCs are valid for ten years. Community Energy Plus’s fully accredited domestic EPC assessors will take into account the construction, age, lighting and heating systems of the building, among other factors, to produce your EPC. 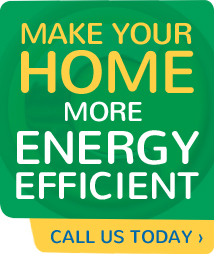 Our Energy Performance Certificates are priced at £60 including VAT for properties in Cornwall. Additional fees may be charged for exceptionally large properties due to the time required to complete the assessment.